As a web developer I’ve spent the time to become proficient in learning, using and customizing WordPress, the most popular Content Manage System (CMS) around. 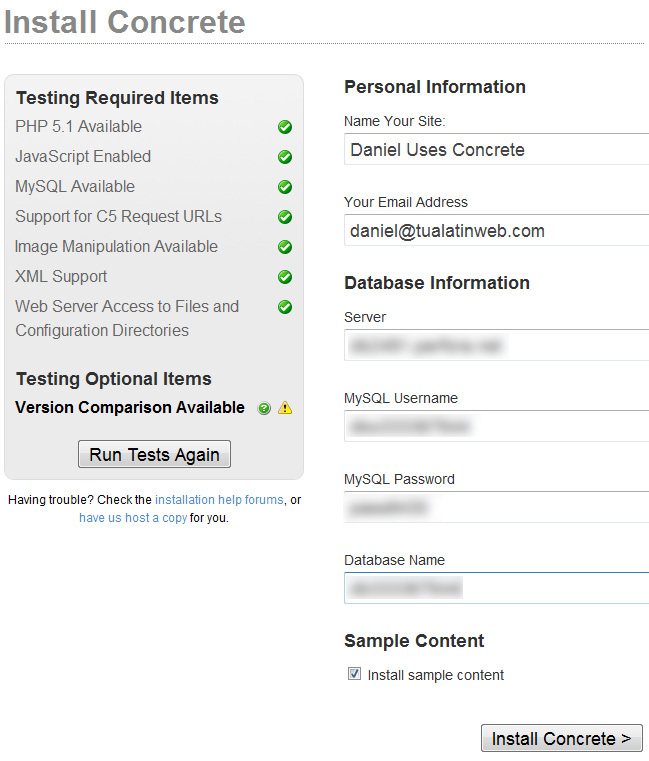 Today I looked at another CMS called Concrete 5 to see how it compares to WordPress. With WordPress I have to edit the config.php file, upload files, then run the admin/install.php script. I see a pleasant web layout with panoramic images that rotate, a horizontal menu navigation, content area, sidebar, etc. At the top I can infer that editing will be WYSIWYG instead of the WordPress dashboard concept. The fact that I can navigate my site graphically makes Concrete 5 more intuitive than WordPress, which makes me navigate pages through a Dashboard and text names, not graphically. Editing my Home page is quite simple. The WYSIWYG editor is similar to what I use with WordPress, except now I don’t have to click preview to see what my page looks like, so I’m saving time with Concrete again. Well, after only a few minutes with Concrete 5 I am impressed. I haven’t had to read any documentation and already I have installed, edited my home page, and feel confident that this CMS is much more intuitive than WordPress. My next quest will be to see how easy it is to create my own custom layouts to meet client requirements. 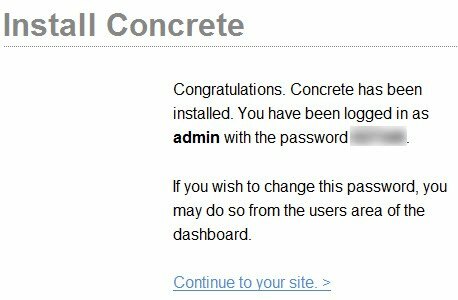 If I were working at WordPress I would certainly have an eye out for the folks at Concrete 5 because the user experience is much friendlier with Concrete 5. Thanks! I don't think wordpress has anything to worry about from us. They're a blogging platform, and while people use it as a CMS, I believe their strategy is very much focused around the creating of content and monetizing that through ads…. Blogs. I use WordPress in many client sites as a CMS because people are asking for it. I'm going to spend more time learning what concrete5 is all about because this first peek was encouraging. I'm up to my ears in user accounts, so will pass on the invite for karma points (plus I'm a Christian and don't believe in karma). I was a bit surprised to discover that my theme in Concrete5 didn't support drop-down menus, then I searched for any theme that did support drop-down menus but couldn't find any after 30 minutes of effort. Why are drop-down menus so difficult to find in a theme? Martin, Thanks for the update on drop-down menu themes in Concrete5. I’ve stuck it out with WordPress the past several years, and am always curious about new CMS tools out there.